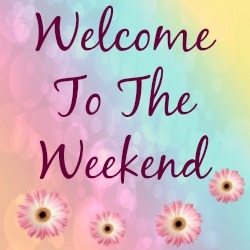 Good Morning 🙂 Welcome The this week’s, Welcome to the weekend blog hop, linky party. How has your week been? Are you ready for the weekend? It has been so cold this week I have been making plenty of hot drinks to keep me warm. Tea, coffee, hot chocolates with cappuccinos being my favourite. 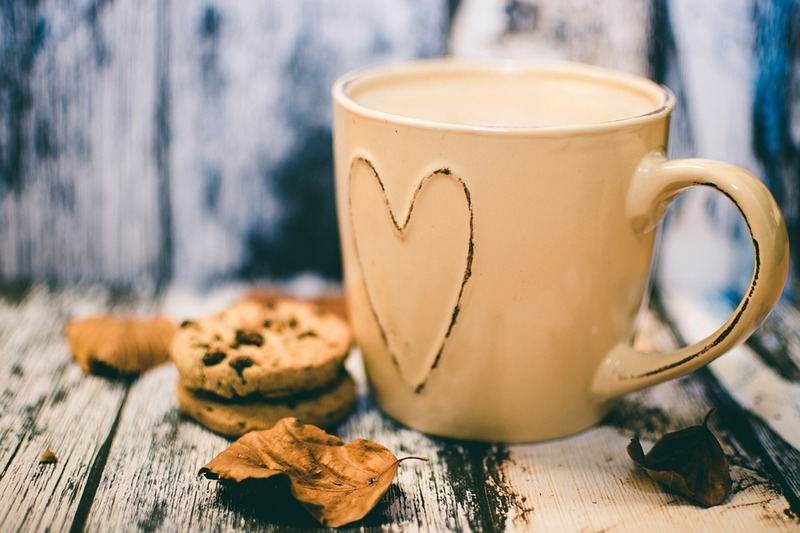 What is your favourite hot drink to keep you warm at this time of year? Or do you live somewhere nice and warm and are drinking something nice and cold at this moment in time to keep you cool? Either way, grab a nice drink and join us for another fun linky party!! Want to link up with us today? Link up family-friendly posts only. Why not enjoy yourself it is Friday!? Grab your favourite drink and join us for the blog hop. Links can be on any topic as you would like to share. They can including recipes, crafts, decor, style, household tips, anything that you have been writing about lately. 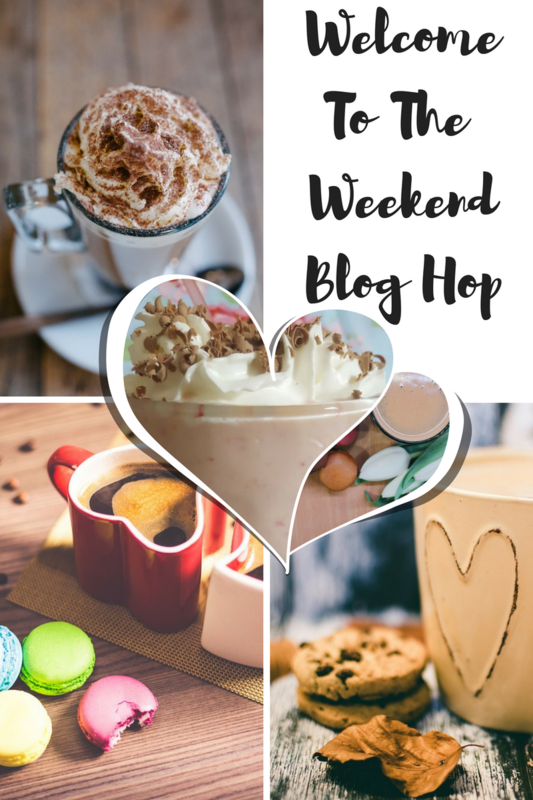 Please follow me your host of this weekend blog hop on at least one social media channel of your choice. Always to follow can be found on the sidebar above. Feel free to add up to 3 posts of your choice this weekend. See you at a blog hop soon. "Satay Chicken in Baby Gem Lettuce Cups"
Lovely milky drinks like coffee and hot chocolate :)Thanks Jenni. It got so cold here! Won't be above freezing this weekend! Thanks for hosting. Enjoy your weekend Claire Justine!! 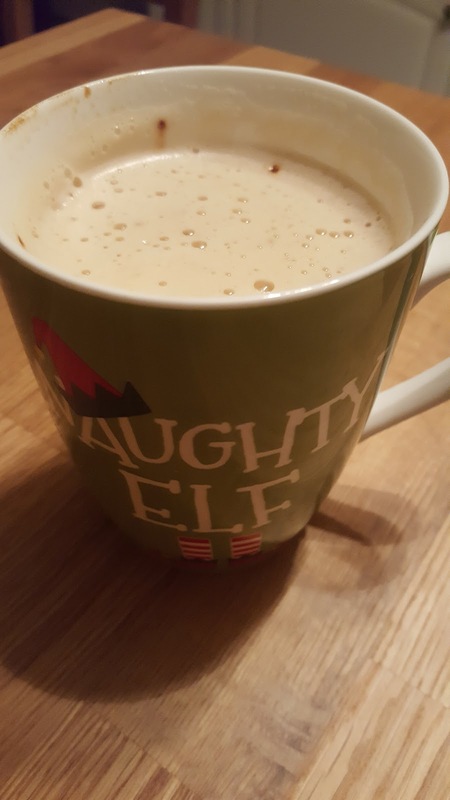 I love a good milky coffee too – or hot chocolate for a real treat! Today I've shared my Brandy and Mincemeat Cake, and easier to make, lighter version of fruitcake everyone will love. Thank you for hosting! 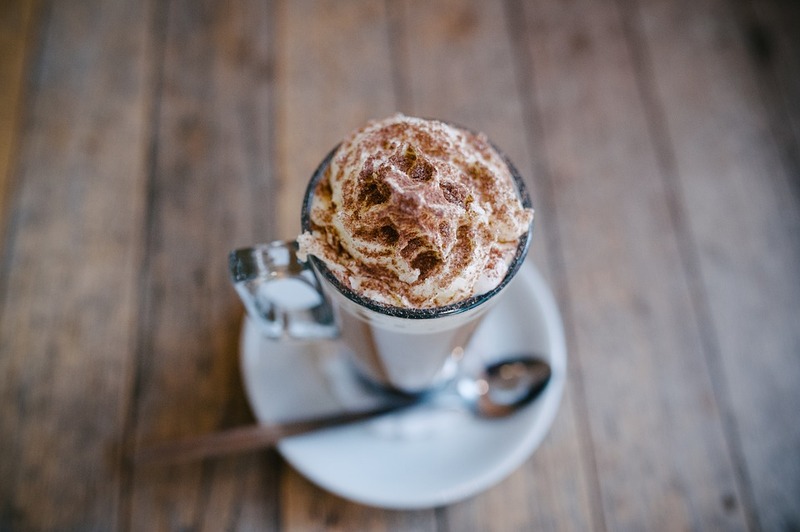 Warm drinks are as essential as gloves and scarves at this time of year. Coffee in any of its forms is one of the best, but a well made caffè latte is up there on the must haves. Along with a caramel waffle. 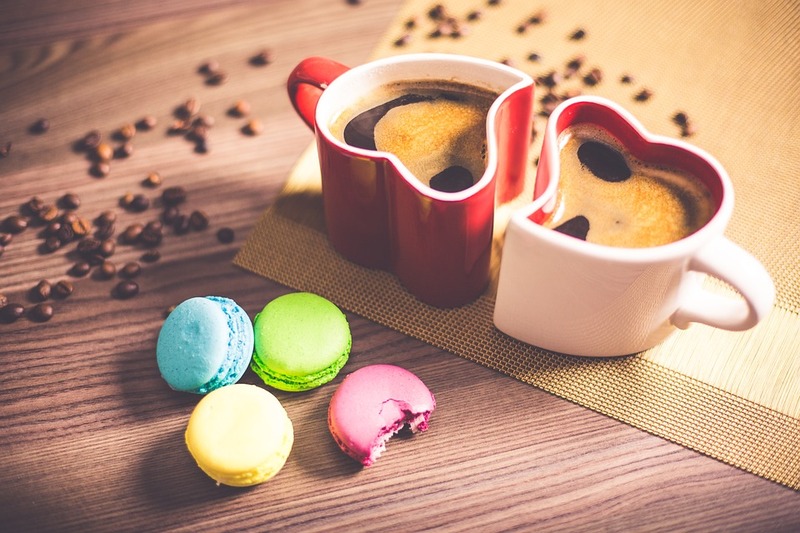 Love your yummy versions of hot drinks, especially the love-heart cup halves.